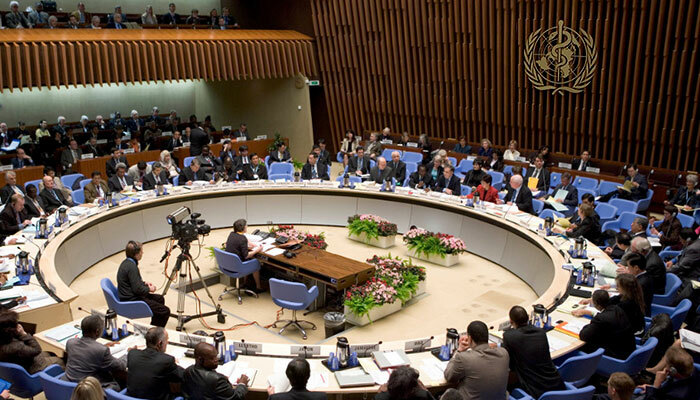 WHO Executive Board – will it see beyond the pestering of abstinence-only activists? A draft activist letter to the WHO Executive Board is circulating widely on email networks – so widely that it has even been sent to me. It is a response to an open letter from the Foundation for a Smokefree World to the WHO Executive Board, which is having its annual meeting 24 January – 1 February, 2019. Does the letter truthfully reflect the approach of the Foundation? Does the letter truthfully reflect the approach of PMI? What is the Foundation actually doing that you don’t like? Would you be criticising what are, in fact, positive developments? Are you opposed to public health benefits if tobacco companies make money as a result? Are you joining the enemies of innovation? Are you joining a mob? We write to you, as members of the global public health community, to express our grave concern at the attempt by Philip Morris International-funded entity, the Foundation for a Smoke Free World (FSFW), to pave the road for partnership with the World Health Organization (WHO). Giving any consideration to an organization that is entirely funded by the tobacco industry would fundamentally undermine the significant health and policy gains made to date on the attainment of the SDGs and prevention of NCDs through implementation of WHO’s Framework Convention of Tobacco Control (FCTC). It would specifically undermine the FCTC’s Article 5.3 which seeks to protect public health policies from the vested interests of the tobacco industry on which much of the success of the treaty rests. Leaked PMI documents and the ongoing activities of both the FSFW and its funder suggest that the FSFW effectively operationalises PMI’s public affairs strategy which serves to further PMI’s business interests. One of the FSFW’s key thrusts is to promote “harm reduction,” which involves a category of heated tobacco products wherein PMI plans to establish market leadership. While PMI and its agent claim a commitment to reducing harm, reports show that PMI continues to heavily market cigarettes, often in ways that attract children and undermine public health policy. PMI actively contests the evidence-based tobacco control measures enshrined in the WHO FCTC, even to the extent of suing governments for enacting those measures. We are secure in the knowledge that the WHO does not engage with the tobacco industry or its proxies. We trust that the WHO Executive Board will respond to the PMI-funded FSFW in a manner consistent with the institution’s long-standing principles to protect its credibility and integrity – legitimising FSFW through engagement would simply advance PMI’s agenda to the detriment of global health. We hope that the Executive Board takes the lead in implementing the Model Policy for UN Agencies on Preventing Tobacco Industry Interference. The health of millions of people requires no less. The questions you should ask before signing…? 1. Does the letter truthfully reflect the approach of the Foundation? “… pave the road for partnership with the World Health Organization (WHO). This, we firmly believe, should pave the way for the WHO to review its initial statement recommending that researchers and governments should not collaborate with us. To my knowledge, there are no documents stating that FSFW “effectively operationalises PMI’s public affairs strategy”. The absence of a link is telling. So what documents link the formation of FSFW to PMI’s PR strategy? Or is the word ‘effectively’ doing a lot of heavy lifting here? The activist letter also asserts that FSFW is an ‘agent’ of PMI. That is a bold claim implying that PMI exerts operational control over the Foundation. A claim for which no evidence is provided. The institutional documentation for the FSFW [Pledge Agreement, Certificate of Incorporation; By-Laws] creates a legal separation from PMI. The board of directors of the FSFW is in charge. Have you reviewed these documents and, if so, on what basis do you think they are inadequate or, alternatively, that the Foundation or PMI are acting in contravention of their legal framework? 2. Does the letter truthfully reflect the approach of PMI? Are you taking on trust the assertions made about PMI? They are far from uncommon, but are they right? For example, how much litigation is PMI currently involved in? We have no litigation on cigarettes pending anymore except a minor case in the Philippines where a municipality passed a ban on cigarette sales. We support strict regulation of combustible products in the context of risk-proportionate regulatory frameworks that differentiate less harmful alternatives. As far as I am aware, it has also withdrawn from involvement in WTO challenges to plain packaging for combustibles, except in one legacy case where it cannot withdraw for contractual reasons. It is no longer contesting packaging and labelling policies in Uruguay and did not oppose Uruguay’s plain packaging law before it passed or challenge it after. There is one other WTO case I am aware of: this is regarding taxation, but this is a discrimination/protectionism case. Of course, I might be wrong about this. But it would be you signing the letter, not me – and you are responsible for its content. 3. What is the Foundation actually doing that you don’t like? The letter concentrates exclusively on the provenance of the financing of FSFW, but it does nothing to show how its activities – several listed in the FSFW open letter – are, in fact, harmful to public health in some way. In my view, these activities are beneficial, and it would, therefore, be harmful to stop them. So in trying to prevent the FSFW going about its work, you would be preferring ignorance over whatever knowledge FSFW creates and you would prefer its funds to be returned to shareholders or wasted. In my view, you really should not sign a letter like this until you can identify substantive objections to the FSFW programme. Have you done that? Have you, for example, reviewed its recent requests for proposals? I don’t think they are perfect – but they are hardly the work of an evil conspiracy to harm public health. 4. Would you be criticising what are, in fact, positive developments? PMI states that it is aiming to change its business model – from selling combustion products to non-combustion. That’s why at PMI we are committed to creating a smoke-free future. It’s a transformative vision, one that will change society: A future that does not include cigarettes. And we want to get there as quickly as possible. Our ambition is to convince all adult smokers who would otherwise continue smoking cigarettes to switch to scientifically substantiated smoke-free products, which are a much better alternative for them. Why would that be a bad thing? Or is that that you don’t believe it? You presumably know that PMI is a publicly quoted company, meaning it must not mislead its investors. It also means it cannot just wantonly destroy its shareholders’ equity by pulling out of selling cigarettes (if you don’t understand why, please read this). So it would inevitably be a cigarette vendor for some years and it would make little difference to health if it stopped unilaterally – others would step in to exploit the opportunity. What matters is the attempt at a transition that will be driven by consumers. The purpose of the Foundation for a Smoke-Free World is to improve global health by ending smoking in this generation. Ending smoking means eliminating the use of cigarettes and other forms of combustible tobacco worldwide. FSFW web site – emphasis in the original. Why would it be a bad thing for a company to have a good objective and to fund an independent non-profit to provide insights into achieving it? 5. Are you opposed to public health benefits if tobacco companies make money as a result? The activist letter positions “harm reduction” as a business strategy for PMI. One of the FSFW’s key thrusts is to promote “harm reduction,” which involves a category of heated tobacco products wherein PMI plans to establish market leadership. Yet it is included in the definition of tobacco control in the FCTC Article 1(d) and commands considerable support among experts with no competing interests. For example, see this recent letter from 72 scientific and policy specialists to WHO’s Director General: Innovation in tobacco control: developing the FCTC to embrace tobacco harm reduction. You may well have thought through all of these issues and come out against tobacco harm reduction, but there is more to it than an industry scam and that’s what this letter implies. If you are opposing harm reduction because tobacco companies make the products involved and might make money, then I respectfully suggest you have your priorities wrong. If that is the case, the corollary is that you would rather tobacco companies only made cigarettes, and more people died as a result, as long as the companies made less money. 6. Are you joining the enemies of innovation? See more > there were 300 years of controversy about coffee! The main argument of the activist letter is that the Foundation has an association with a tobacco company, so it must, a priori, be a bad thing. The letter reaches for the comforting certainties of Article 5.3 of the FCTC to back this point. However, there is something important happening in the nicotine market: a significant disruption arising from new low-risk technologies and the understandable consumer preference not to die in agony from cancer. The harm reduction approach is synergistic, not antagonistic, to conventional tobacco control MPOWER measures because it creates new options to respond to the incentives and pressures of tobacco control policies. Shouldn’t you have an open mind about the potential for this disruption: something I would call a “duty of curiosity‘? Public health is a tough discipline, with the lives of thousands, maybe millions, of other people on the line. So there should be a strong duty of curiosity: an imperative to think the unthinkable, to shake out our own long-held beliefs and not to let the threadbare cliches of tobacco control orthodoxy stand in the way of progress. This was never right, by the way. Even in 2008 or 2003 it was already apparent that a tobacco product, snus, made by a tobacco company, Swedish Match, was having a dramatic beneficial effect on smoking in Nordic and Scandinavian countries. It was never right, and it isn’t right now. So what if that snus ‘proof of concept’ was spread more widely, with products that have broader consumer appeal and companies with greater reach? Would you be the enemy of that sort of innovation? 7. 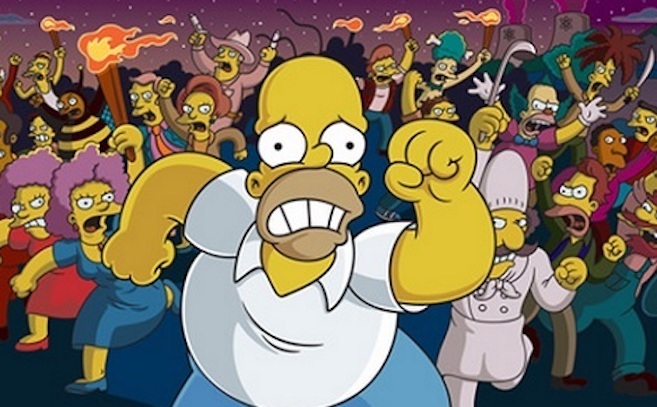 Are you joining a mob? My impression is that international tobacco control is becoming less about health and more about the tobacco industry. This letter is a work product of the $20m Bloomberg Philanthropies STOP campaign – entirely focussed on attacking the tobacco industry, whatever it does. I have done my fair share of that, but this is happening at exactly the moment where the entire industry is facing disruption and major changes are possible by looking at the situation more imaginatively and with an open mind. There’s another one, already sent, from the World Heart Federation and various organisations: WHF and Partners say no to tobacco industry policy interference. This is the same sort of stuff, but I will confine myself to providing unwelcome advice to those considering signing the one above. Disclosure: I have no conflict of interest with respect to the Foundation, though I wish it well and hope it succeeds, I have no plans to apply to be on its staff or board or to apply for grant funding. I know the CEO, Derek Yach, as a friend since we both worked on the gestation and birth of the WHO FCTC from 1999. I have no conflict of interest with respect to PMI. Simply opposing anything done by, or in some way associated with, a declared enemy is a seldom a good strategy. I think a better one is to agree on a goal (maximum practical reduction in tobacco-caused disease and death, for instance) and strategically pursue it. Thus, the actions of other players can be evaluated in relation to that goal. Disruptive innovation on nicotine and the disarray it is causing in the cigarette industry creates huge opportunities to creatively exploit. A simple logic model says the FSFW can be either genuine or a sham, and we can either support or oppose. If we act like we support it, there is a big win by either facilitating our health goals or revealing a sham. If it is simply opposed, we only have downsides – health loses if it was genuine, but also loses if it was a public relations ploy that never gets shown to be one. Yes – now it is finalised, daft would be better. To what degree the abstinence only activists attacking the FSFW are involved with the pharmaceutical industry? If they are involved, is it worthwhile emphasizing that they are not as “independent” and “free from COI” as they claim? I don’t really buy the shills of Big Pharma theories… More likely that tobacco control functions as an interest group in its own tight. Millions of dollars are involved – and not much accountability with it. Even more than money, it has a strong culture and its leaders have grown up in the ‘tobacco wars’ with a toolkit of quite coercive methods for reducing smoking – almost always administered to citizens by the state. A private sector, product-based, consumer-driven response is countercultural and threatening. Vaping etc is disruptive to the tobacco industry, but it is also disruptive to tobacco control. Yes, I agree, the “Big Pharma shill” totemic explanation is as much of a conspiratorial fantasy as the Big Tobacco shill explanation used by tobacco controllers. I was just thinking that perhaps some of the activists of the “daft” letter could be given a taste of their own medicine by showing that they also have a COI. While not the totemic cause, the pharmaceutic industry is well positioned in the global anti-THR effort. In particular, it provides a large (even majority) share of resources to a lot (if not most) of health anti-tobacco NGO’s in the USA that continuously voice anti-THR messages, for example the American Lung/Heart associations. It is also a generous funder of medical associations or “societies” in Spain (SEPAR) and Latin America and even in the European Union: the European Respiratory Society. However, while the pharmaceutics are partners with the Tobacco Control bureaucracy in fighting THR, the odds are not the same for each one. For the pharmaceutics it is a battle to protect their products against competition by e-cigs and other nicotine delivery consumer products, they can easily recover loses if their products are phased out. For the Tobacco Control apparatus it is a war for survival as a powerful actor: if THR manages to phase out smoking (something not totally unrealistic), it would also phase out the need for a huge tobacco control machinery (they would no longer be necessary if less than 5% of the population would smoke). Paradoxically, the more they attack THR and Big Tobacco, the more they reveal this existential fear.